Ferrari factory original 2005 La Ferrari company profile brochure. 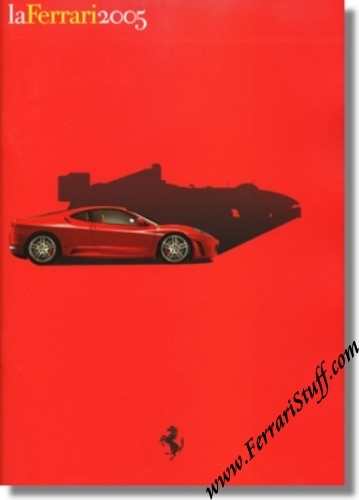 The annual report for the year 2005 that elaborates on the factory, past & present, individual cars, the racing activities and the ancestry of Ferrari. Ferrari Print Number 2238/05, issued in July 2005. New & unused of course.